01: 09/26/09 - ALS 5k: My first official race! 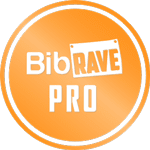 Check out my Race Reviews on BibRave.com! Congrats on all these races and fabulous times! Way to Go!